I'm not sure if it's a coincidence or if for some reason the games are harder at the beginning of the month, but I can't seem to win for the first week or two, then I have some kind of boom switch and do very well. That has been the pattern every month this year so far. 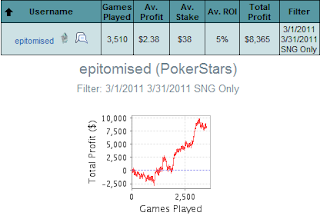 I'm obviously pleased with my results, but I'm starting to waive in the grind and am gradually falling behind pace. It's not fatal, and I'm sure I can catch it up somewhere down the line, but I need to get my work ethic back on track. 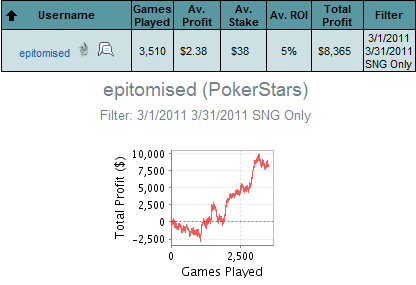 There was really no excuse for earning less VPPs in March than I did in February with 3 extra days available to play on. 0 Comment to "Quick March Review"